David Vaudt, Richard Isserman and Viki Windfeldt were recognized for their leadership and efforts to advance the profession by NASBA, during NASBA’s 107th annual meeting. Vaudt, of Norwalk, Conn., was presented with the 2014 William H. Van Rensselaer Public Service Award. Established in 1988, the award recognizes individuals who have led the development or improvement of Boards of Accountancy programs, or influenced the passage of rules or statutes to improve accountancy regulations and laws, with the goal of protecting the public. 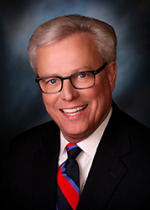 Vaudt, a past chair of NASBA (2003-04) and retired audit partner with KPMG, is the current chairman of GASB. He joined the GASB after serving 10 years as Iowa’s elected state auditor and chairing the Iowa Accountancy Examining Board from 1995-2002. From 2005-13, he served on the CPA Examination Review Board, most recently as vice chair. Isserman, of New York, is the recipient of the 2014 NASBA Distinguished Service Award. This award recognizes individuals who have demonstrated commitment and dedication to enhancing the mission of NASBA. As a retired partner with KPMG LLP, Isserman was responsible for leading the New York office’s audit real estate department. 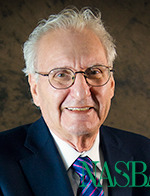 A former NASBA director-at-large, Isserman is regarded for chairing NASBA’s regulatory response committee from November 2004 through October 2013. Windfeldt of Sparks, Nev., is the recipient of the Lorraine P. Sachs Standard of Excellence Award, which salutes Board of Accountancy executive staff leaders who demonstrate excellence in regulating and make a positive impact on the profession. Windfeldt currently serves as the executive director of the Nevada State Board of Accountancy, a role she has held since 2003. 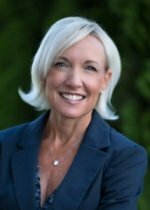 During her 19 years with the Board, she has been successful in building solid, working relationships with the Nevada Society of CPAs, CPA stakeholders and state legislature. Under her leadership, the Nevada Board has successfully streamlined processes, reduced office expenditures, instituted website and computer software development and launched online access and reporting of programs including license renewals, CPE audit submission, peer review reporting, examination application, reporting of exam scores and scanning, resulting in a paperless office.